Foto de stock - Market basket or consumer price index in Spain. 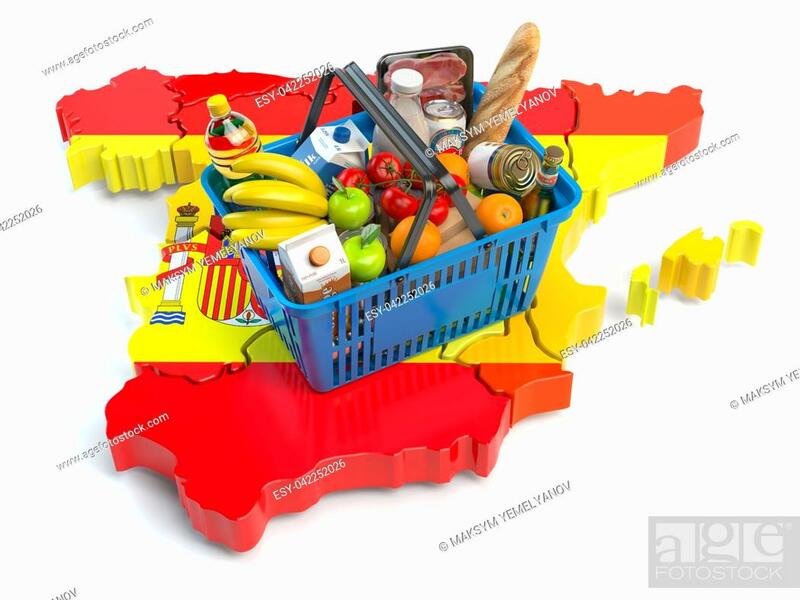 Shopping basket with foods on the map of Spain. 3d illustration.